Unlock Samsung Galaxy Ace S5830 - Safe IMEI Unlocking Codes for You! Unlock Samsung Galaxy Ace S5830 Handset! In case your Galaxy Ace S5830 doesn't ask for the code and there is no designated field to enter it, please DON'T PLACE ANY ORDER, contact us first for support. Start to unlock now your Samsung Galaxy Ace S5830 mobile phone and enjoy using it worldwide with Any GSM SIM Card! Our Samsung Unlocking process is fast, easy and 100% Guaranteed to unlock your phone! Our unlock codes works for the latest models of Samsung including Samsung Galaxy Ace 3, Galaxy S4, Galaxy S5, Galaxy Tab and many more! Before to order an unlock code for Galaxy Ace S5830 phone, please make sure you send us the correct information! How to Unlock Samsung Galaxy Ace S5830 Phone - Tutorial! Please find bellow a step-by-step guide to follow in order to unlock your Samsung Galaxy Ace S5830 handset. NO technical skills required! I owned Samsung Galaxy Ace S5830 its from Guam tmobile! 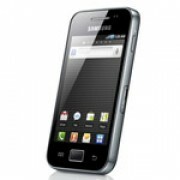 Where I can find the IMEI of my Samsung Galaxy Ace S5830? Can you help me with my Samsung Galaxy Ace S5830 handset from Austria Orange?